Emergence of ‘sustainability' as the new paradigm of conducting business has led to increased focus on operations of firms in emerging economies such as India. With growing concerns on the environmental impact of products and processes of firms in emerging economies, it becomes imperative to understand the factors steering green initiatives in India. This chapter aims to answer the question regarding what drives firms in India towards greening? Through research and discussions with managers, we observe certain common underlying factors determining firms' greening initiatives. The chapter aims to outline these common factors and takes a look at various approaches of firms in India in line with those factors. The current work aims to provide a better understanding of environmental friendly practices in India to both practitioners and researchers alike and establishes a platform for green supply chain research. The increasing environmental concerns of nations world over have led organisations to reconsider their existing supply chain designs and operations from a sustainability standpoint (Porter & Kramer, 2006; Wu & Pagell, 2011). Globally spread supply chains have led firms operating in emerging economies like India to notice the need for environmentally- friendly products and processes. While India’s standing in environmental rankings globally has been below par (rank 155 out of 178 countries in the Environmental Performance Index by Yale University), firms in India are gradually undertaking pioneering efforts in greening their supply chains, products and processes (Yale University, 2014). While the Information Technology and services sector is at the forefront of this change, several traditional sectors like automotive and industrial good manufacturing firms are taking giant steps towards green initiatives. There is a growing need to understand such initiatives being undertaken in emerging economies (Khanna & Palepu, 2006; Cheung, Tan, Ahn, & Zhang, 2010). An in-depth understanding of green initiatives of firms in countries like India would provide an innovative approach to new firms looking to conduct business in emerging markets (Khanna et al., 2005). 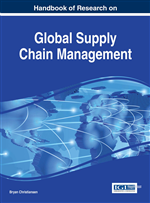 Further, for existing firms, this serves as an opportunity to review their supply chain strategies. Several observations can be outlined for green initiatives in India. Increased awareness, focussed government regulations and pressure from non-governmental organisations are forcing companies to go `green'. Giant beverage manufacturer Coca-Cola, for example, has often faced accusations about ground water depletion and contamination due to its operations in the state of Kerala (a state located in the southern half of India). It has faced similar accusations elsewhere in India, leading to several litigations and focussed sustainability efforts from the leading soft drink maker. In another example, while Indian emission standards are at least a few years behind European emission standards, the central pollution control board under the ministry of environment and forests is making strides in implementing the Bharat stage IV (equivalent to Euro 4) standards for all automobiles in major cities in India. In a different view, the changing preferences of consumers in India hold potential for companies to take advantage of the growing `green' consumer base while simultaneously managing the costs of doing so. Firms like Hindustan Unilever (HUL), for example, have chalked out innovative product strategies to not only reduce wastage and natural resource consumption during product usage, but have also increased market penetration several folds through the introduction of such products in the Indian consumer market. In-home water purifier, Pureit, is one such example, which does not require electricity or continuous tap water supply. Giant consumer goods company, P&G, has also entered into the manufacturing and marketing of several environmentally conscious products in India. To cite examples, products like Ariel Excel Gel, Pampers, and Gillette Fusion have been innovatively designed such that they not only consume less water and energy during usage, but also during their manufacturing. Question then arises as to what drives firms in India towards greening. Through research and discussions with managers, we observe certain common underlying factors determining firms’ greening initiatives. We believe outlining these common factors will work towards a better understanding of environmental friendly practices in India to both practitioners and researchers alike. The change as we observe is being initiated on four fronts: regulatory enactment, consumer driven demand, price premium potential, and cost reduction prospects.